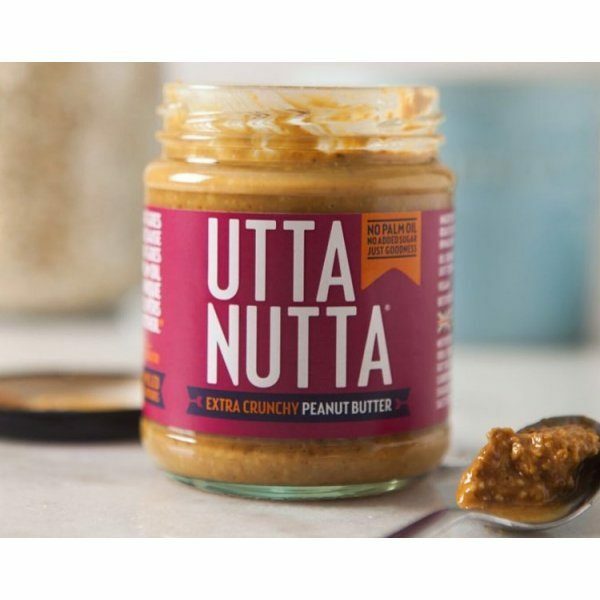 this nut butter is a cut above the rest -the extra crunchy really lives up to its name with lots of whole nuts. The flavour is rich and the consistency thick without being set. there is no greasy after taste, just the Himalayan salt tantalising the taste buds! once you have tried this you will never go back to other peanut butters. Utta - ly the best! 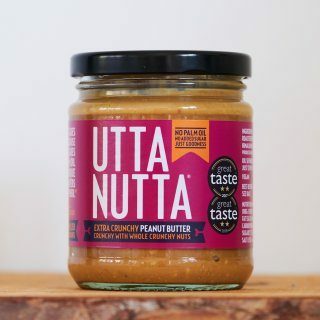 I first found this divine nut butter at a Good Food show some time ago and have been buying it directly from the makers due to no outlets stocking it in the midlands. What a joy to find it via Wilton! It is the best crunchy peanut butter I have ever found, just roasted nuts and the Himalayan salt but what a flavour. I have asked relatives to buy me a few jars for Christmas! I have been found eating it from the jar on occasion! A serious addiction! grown up with and loving peanut butter. This is the closest thing to the childhood flavour & consistency I remember. picked it up at Frome Independent Market. Will be back for more ! You have to taste this. It is amazing. I tried one jar, and have just bought three more! Absolutely the very best peanut butter I have ever tasted .